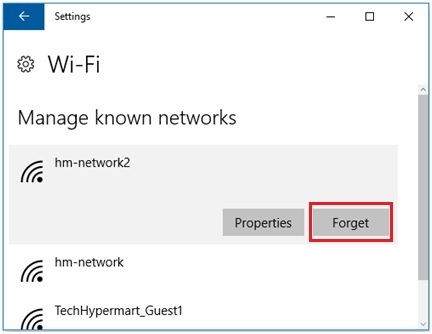 Let me show you some quick ways to delete wireless network profiles in Windows 10 here. Wireless network profiles are the profiles that contain wireless network name (SSID), security keys and other wireless related settings that allow your computer connecting to wireless network automatically. Sometimes you want to delete this wireless network profile when you face the problem connecting to wireless network due to wireless network settings mismatch issue, or you no longer want to connect to that particular wireless network anymore or due to other reasons. 1)On your desktop screen, go to your right hand corner taskbar in your desktop environment and click on the network icon (looks like a signal icon). This is also the icon typically you will click in order to connect to wireless network. 2) Go ahead to click on Network settings. 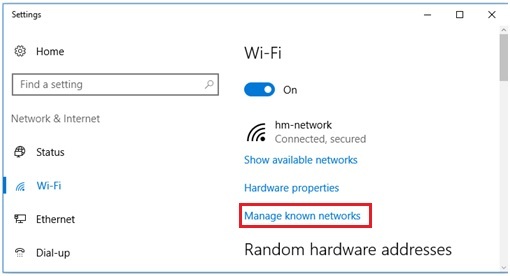 3) Network Settings window will appear, and here you can click on Manage known networks. 4) Ok, Once the Managed known networks window has appeared you will be shown all known wireless networks (the wireless network you have connected successfully earlier), proceed to click on the wireless network that you want to delete its profile and click on Forget to delete it. Done! It's this simple! Note: If you don’t like to do it with GUI (Graphical User Interface) approach, you could also show and delete the wireless network profile by issuing some commands in command prompt. 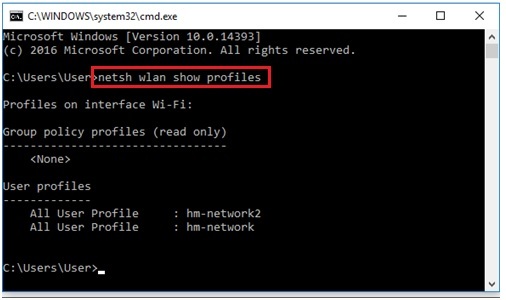 netsh wlan show profiles - This command will show all wireless network profiles saved on you computer, even those old wireless network profiles which are not detected by your computer now. 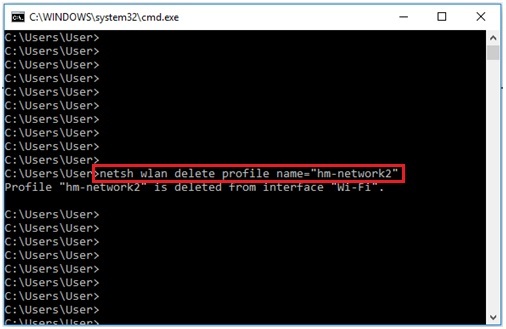 netsh wlan delete profile name="wireless-network-profile-name" – Use this command to delete wireless network profile. 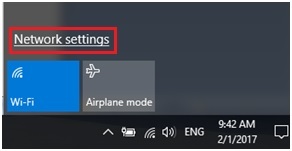 Return to top of "Quick Ways to Delete Wireless Network Profiles in Windows 10"! !